One of the most exciting parts of the Government Day weekend was the Blogger Roundtable! As I mentioned in my last post, I had the honor of meeting some awesome bloggers (Allison Blass, Cherise Shockley, Kelly Kunik, Kelly Rawlings, Kerri Sparling, Kim Vlasnik, Mike Hoskins, Scott Johnson, and Scott Strange) from the DOC! I found many of these folks shortly after Sweetpea was diagnosed. Finding other people who were living this crazy life made me feel not so alone. I clearly remember sitting at the computer, with a 3 year old Sweetpea on my lap, and searching the net for diabetes information. 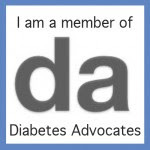 I remember looking for blogs and pictures of people with diabetes so I could show Sweets that she was not alone. So imagine my surprise when some of these wonderful bloggers recognized ME! Well... It wasn't ME they recognized... It was Sweets, of course! And they were just as nice in person as they seem on their blogs! And yes, I mean all of them! After meeting a group of them (Allison, Cherise, Kim, Kelly R, Scott J, and Scott S), I pointed out to Sweets that they all had diabetes. And they were wonderfully open about their pumps and cgms. Sweets just giggled like she usually does.... But then she told me that they were all in her "Diabetes Club". AND.... She said she was terribly sorry but J and I could not be in the club because we don't have diabetes. So there! Kelly K and Sweetpea - Can you feel the love here? Sweets just adores Kelly! I love that she felt this sense of camaraderie with them- adults that she did not know. Isn't that what the DOC is all about? Connections, relationships, the feeling of "same". And clearly it does not matter if you're 5 or 45. The sentiment is still there! Saturday night was the Awards Dinner. I walked into the ballroom and stopped short. The room was filled with tables and people.... And I knew no one, really, at the event. A little overwhelming...! But before I could even figure out where to go, Kim invited me to sit with them. Thanks, Kim! That was one of the best experiences! Everyone had their phones and cgms on the table. At one point, I looked around and realized that I was the ONLY person at the table without diabetes. And that was really cool! And I couldn't help but hope that someday Sweets will have a similar group of people that she can rely on for support and knowledge and friendship- people that really "get it". Sunday afternoon was the blogger Roundtable. I was in Group One - the one that was broadcast live on Ustream! As a member of the DOC, I was excited about this! The DOC has brought so much good into my life. Without the people I've met online, I don't think I'd be as far along in this journey as I am. 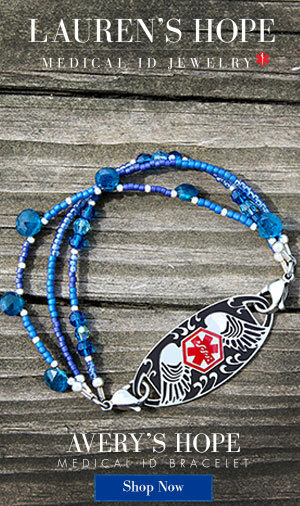 I KNOW that the DOC has taught me so much- and helped me be a better pancreas for my daughter. Her care is better because of it. And that is priceless!! That is something that I want to share with the world! I thought the presentation was great and really helped explain all this social media stuff to people who are not familiar with it. Of course, being a blogger myself and a part of the DOC, it was all I could do to sit in the audience and be quiet! I wanted to yell out things like, "So True!" "Amen!" 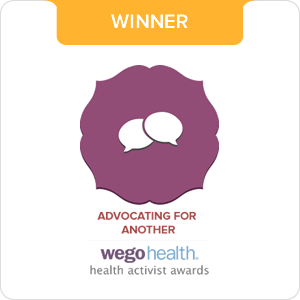 "The DOC IS wonderful and all about support and encouragement!" "Get involved, Get connected! Don't be scared!" But I was good and kept myself under control! Blogging is just something that is near and dear to my heart! I firmly believe that when PWD bloggers and Parent bloggers unite - the sky's the limit! I really can't do the roundtable justice - but you can WATCH it for yourself! I only wish I had been able to attend both sessions! As a D Mama, I can talk all day on what it's like to raise a child with diabetes. But I can't tell you what it's like to LIVE with diabetes. They offer us a glimpse into the future. In the past, many people have felt that JDRF was part of childhood. They felt that it was not an organization that followed people into the adult world. That is a shame. And I'm glad to see that changing. I want Sweets to have a sense of belonging and to find support throughout her life. Her LONG life. And I have a feeling that JDRF is going to be that organization! Yours is a blog I've followed for a while, just lurking tho. It is still somewhat difficult for me to read parent blogs. It was, however, simply fantastic to see CWD living in the present world; one not tinted by the lenses of my past. I've heard a bit of feedback on my "Life before the DOC" presentation that I was a bit dark; an honestly I probably was. But dark is what you get when you have not support network. I am so glad to see starting o emerge for all those who are fallowing us thru life. That is so awesome! I would be lying if I didnt tell you I was jealous! These bloggers are folks I met via twitter before I started blogging and they were my intro to the DOC too! I feel as though you just gave the inside scoop to those of us who couldn't be there. Thank you! How great that Sweetpea is growing up with connections, camaraderie and a sense of community! 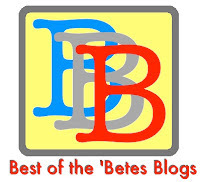 I have gained so much from both PWD bloggers and parent bloggers, too. I'm grateful for the DOC, and I think it's fabulous that JDRF is recognizing the value of the DOC. Great post! How awesome to get to meet the other bloggers...a few which were the 1st blogs I'd found a few months after Charlotte's dx. So great that Sweetpea felt a connection with them! Love the pics! It was great meeting you three there in D.C., Hallie! I remember sitting there talking to Kelly R and seeing your little angle walking towards us... Yes, how could you NOT recognize that face from the blog header?? Anyhow, great times and it was so awesome to have you there. I hope the parent bloggers do get to join in more next time and are just as much a part of the conversation as everyone else is. Our second blogger group downstairs took on a different style than the Ustreamed version, but it was still a great discussion and everyone seemed to come away with something. Loved being able to see the other one online, and the discussion happening during it, also! Looking forward to staying in touch! Thanks a million for sharing...my question is did you notice many men with t1d there? My husband is sooo incredibly quiet about his d and doesn't seem to need or want to talk or blog about it, just wondered if you noticed a larger female population of t1d there or not. I am so glad you are working with JDRF and able to do these things for all of us - you are a great representative and I truly appreciate your time spent doing all you did there. Hallie - I am so very glad you got to meet the wonderful people that are the DOC, I'll be it was marvelous! Thank YOu for advocating and being there and being our voice too! Thank you for sharing this experience with the rest of us Hallie. I cannot even imagine what it was like to meet those Blog-Stars IRL. I was thrilled to see them and hear them on U-Stream! What an experience. I hope through the round table that more PWDs and Type 3's are encouraged to engage social media. It has been such a resource of comfort, knowledge, and support. 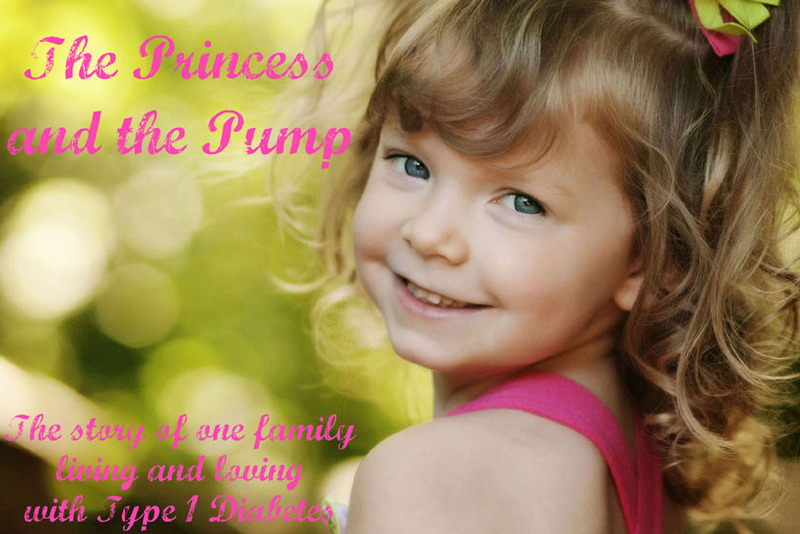 i can fully understand the excitement of your daughter - i would be so thrilled to meet so many other type 1's all striving towards a better future for other diabetics - how amazing! I'm jealous!! What an amazing group of people! Our stories may be different, but we all share a common goal. It's so important to remember that! Watching the Round Take was awesome! It was so much fun to be there even though I really couldn't be there. http://helmsleytrust.org/grants/health-medical-research-grant/type-1-diabetes-grant This is the link to one thing that is mentioned in your above video feed from DC. It was awesome meeting you in IRL - Your amazing! J is a great guy and Sweetpea is TOTALLY AWESOME! The conversations that she & I had make me smile whenever I think of them - Her point of view on life is WONDERFUL. And can I just say that Sweets is quite the little fashionista!! Seriously, girlfriend is a trendsetter/model/stylist/superstar princess! Hallie, what a wonderful experience!! Thank you so much for sharing it with the rest of us and thank you for taking part in such an important event. I agree so much with what you said about feeling that you are a better pancreas, that SweetPea's care is so much better because of the DOC. You did us proud Mama!!! Congratulations on possessing certainly one in every of one of the most sophisticated blogs Ive arrive throughout in a while! Its simply amazing how much you’ll be able to consider away from a factor basically merely due to how visually beautiful it is. Youve place collectively an awesome weblog web site space –great graphics, movies, layout. This is certainly a must-see web site!